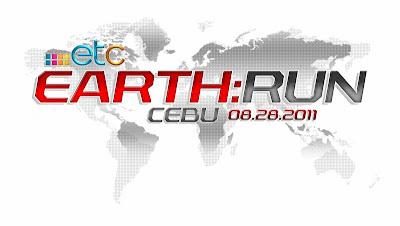 Solar Entertainment Network holds a fun run dubbed as Earth Run that goes nationwide with three (3) legs to be held in Metro Manila, Davao and Cebu. 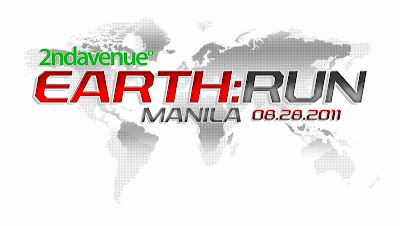 Last year was a successful event, where over 8,000 runners took to the street to show their support for the environment. This year, Earth Run becomes bigger & better, will be supported by the network's three banner channels: 2nd Avenue, ETC and Jack TV. 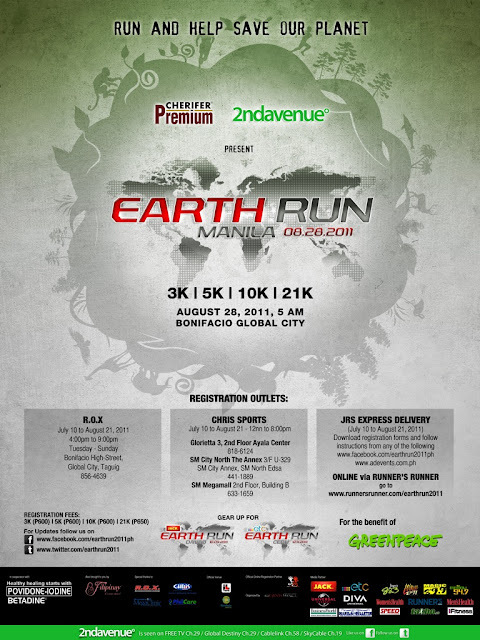 Running enthusiasts and nature lovers can come together and run for a good cause. Earth Run has chosen Greenpeace as its beneficiary for this year. Greenpeace is an international environmental organization that promotes peace and advocates the protection and conservation the environment. Here in the Philippines, the organization and its supporters are focused on promoting renewable energy and energy efficiency, a nuclear-free Pilipinas, and keeping waterways clean. 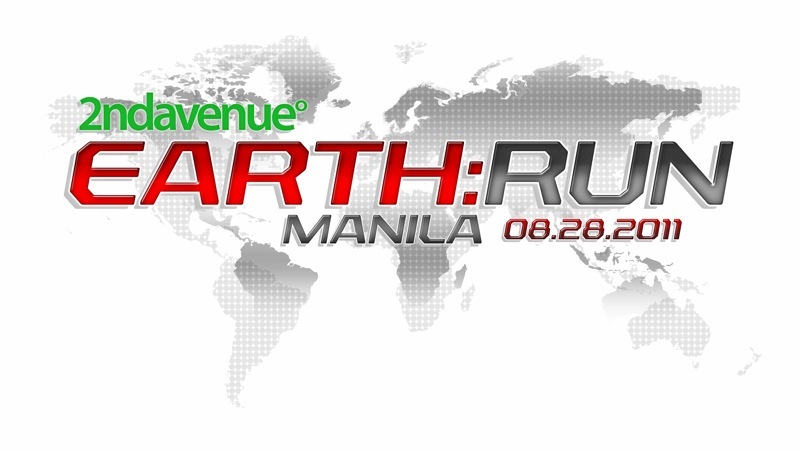 Kicking off in Metro Manila, 2nd Avenue: Earth Run 2011 will be held at the Bonifacio Global City Grounds on August 28, 2011 (Sunday). Runners can choose from four different distances: 3k, 5k, 10k, and 21k. 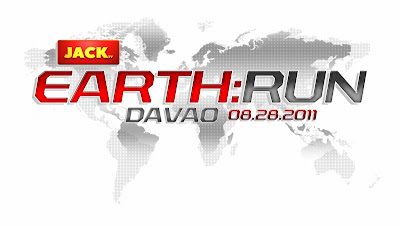 All races have a registration fee of P600 except the 21k which is P650. Upon registration, participants will receive race kits that will include the ff: timing chip, official race shirt, race bib belt and race details. Those interested to join the Manila leg can register starting July 10 until August 21 at R.O.X. at Bonifacio High Street and Chris Sports branches located at Glorietta 3, SM City North The Annex and SM Megamall. 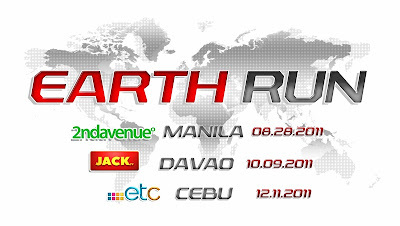 Online registration is available at Runner’s Runner, Ad Events and the official Facebook Page of Earth Run. 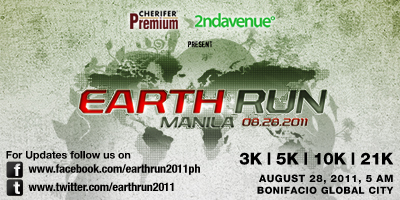 Each race finisher shall receive a special Earth Run sling bag, finisher’s certificate and sponsor giveaways. Trophies will be given to the Top 3 male and female finishers of each distance category courtesy of Cherifer Premium Capsule, while medals shall be given out to all finishers of the 21k race. 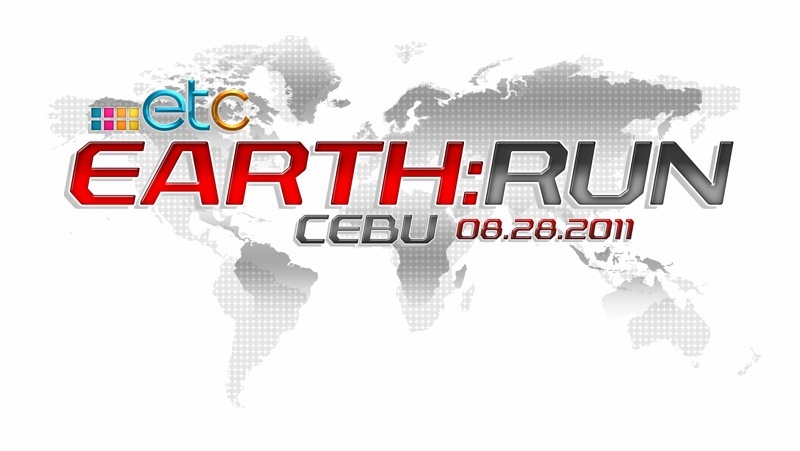 ETC: Earth Run 2011 will be held in Cebu on December 11, 2011 (Sunday). 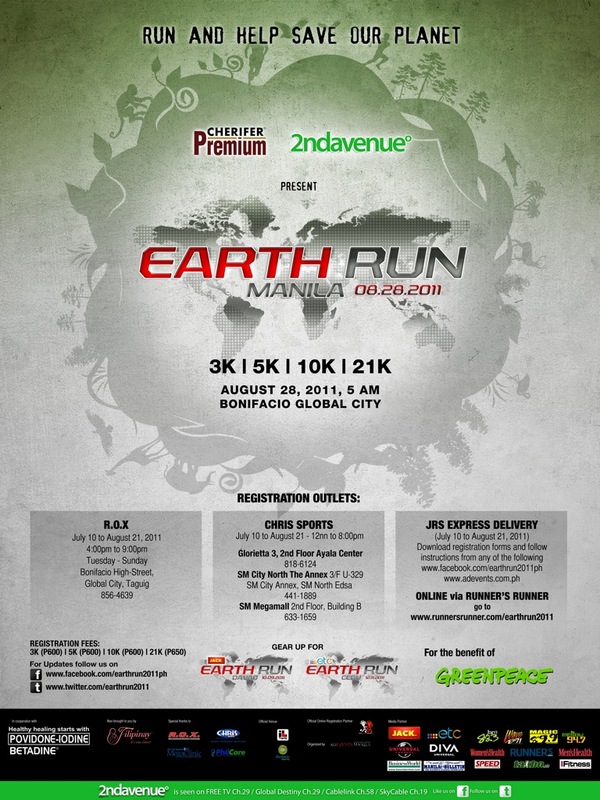 Take part in this adventure as we stand up for Mother Nature while staying fit and healthy. See you there!